Leftover Thanksgiving turkey and homemade pumpkin butter make this sandwich hard to beat. I got the idea from an apple butter and smoked pastrami sandwichI had pinned a while ago. I threw this guy together for my sister and I last Sunday. We were so burnt out on Thanksgiving leftovers, but my mom was insistent on us finishing them off. My little creative juices started flowing on how I could put a spin on the leftovers. 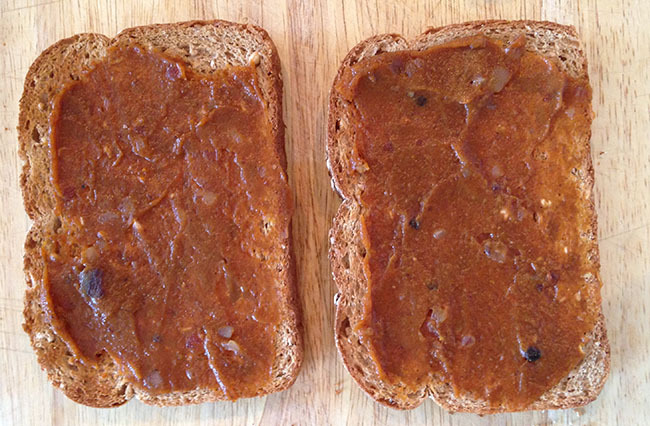 Kathleen had made the yummiest pumpkin butter the day before (I'm hoping this post pushes Kat to post her recipe). We usually just spread it on toast or dip apples in it, but I decide to use it as the base of this sandwich. I layered on leftover turkey, red onion slices, cheese and a little bit of rosemary for an added wintery touch! Turn on the broiler of your oven. Toast your bread. Spread on a nice layer of pumpkin butter. Layer on the other components. Put your sandwiches in the oven under the broiler and just keep on an eye on them until the cheese is completely melted. About 2 minutes. Once the cheese is melted finish them off with some fresh cracked black pepper. Serve with a knife and fork. *Pumpkin butter is super easy to make and there are lots of recipes out on the Internet. If you don't want to make your own pumpkin butter, you can usually find pumpkin or apple spreads at specialty grocery stores. A grainy mustard would also be a a good substitution. This sandwich was so random but so good! 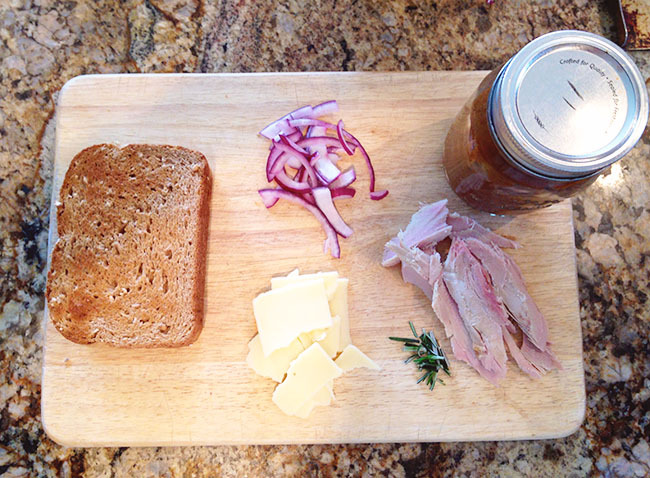 Here is a recipe for another one of my favorite open-faced sandwiches!